Definitely a good place to start. 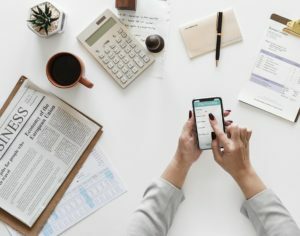 What is this ‘Making Tax Digital’ and why is it happening? Basically, the government is trying to make it easier for people to get their tax right. Although most businesses try to do their tax return correctly, errors and mistakes mean around £9 billion is lost every year. MTD (Making Tax Digital) is exactly what it says in the name. It aims to save time, prevent mistakes and become more accurate & efficient by making everything online. – Will submit tax every 3 months instead of once a year. – Are issued with a HMRC digital tax account. – Don’t have to give information to HMRC that it already has. Electronic data from banks, building societies etc. will go directly to HMRC instead of manually processing this as before. – Can see what tax they owe as it happens in real time instead of letting it build up and getting a massive bill at the end of the year. By April 2019 – VAT reporting by all businesses with a turnover above the VAT threshold (£85,000). By 2020 – Reporting for other taxes (income and corporation). If you don’t already use digital accounting software, talk to us. We can offer you a range of packages depending on your needs and work through the journey with you. If you already use digital software, you need to make sure its updated and compliant with MTD. Get in touch with the providers of your software and find out if the version you use is compatible or if you’ll need to upgrade. Start planning now, talk to your accountant if you use one and find out what you need to do, to be fully prepared. – Saves 27.6 days a year in comparison to using manual methods. – Makes an estimated saving of £17,000 per annum because of efficiency. – Alerts when payments are due, which can decrease the chance of payments piling up and making errors that incur penalties. If you want to discuss your options or have any queries, we’re more than happy to help. Contact us on 01228 590900 or info@castle-computers.com.